Is the Modern believers ready for Last Days? Are Christians ready to fight (spiritually) and win? My Book, “THE LAST OF DAYS WILL BE GREATEST TIME IN HISTORY”. No, this book is not about me it is actually for true Believers and those looking. The main focus is on things now coming into world we seem to be seeing daily. The written truths are for people who know what spiritual weapons for last days mean. The book is not just about the author but what is called the body of Christ during last days. I did not write it for comfort but for those interested in God’s purpose for His Church during last days. God’s greatest creation was made in His own image, called humans and the major part of His eternal plan. 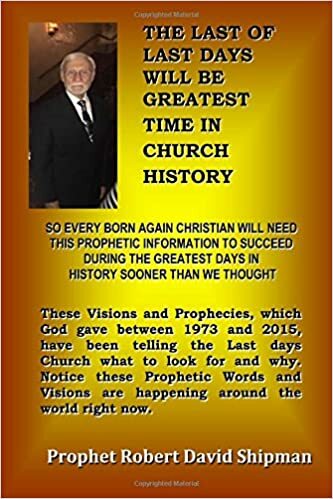 The foundation of this book covers over 40 years of prophetic information given though Open Visions and Prophetic Words concerning the last day Christian Church. 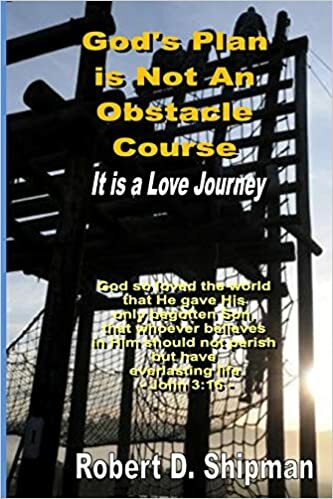 This book may hold every readers answer showing importance they are to Gods’ plan for their purpose. There are many people today identifying themselves as Christians, yet not sure what it means. Two of easiest things in life are getting saved and going to heaven. Since we can’t save ourselves, nor get ourselves in heaven, Jesus must do that. So, our hard part is our trip through life between saved and going to heaven, called life on earth. This book helps Church leaders better understand the value of training and equipping the congregation for their own callings referred to as Saints ministries. The days of active Church Body Ministries is not coming, but already here! 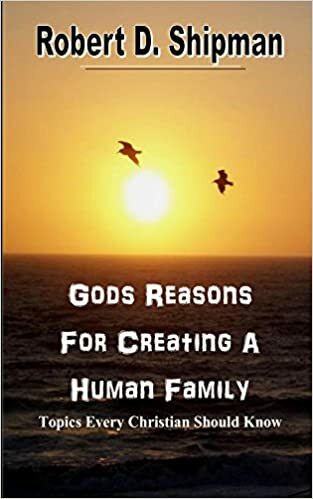 My book explains who, why, and where every believer fits into God’s plan. Also, shares God’s Visions and Prophetic Words given me between 1974 and 2011 to help leaders and followers to know the seriousness and reason for Jesus’ Church on earth that’s preparing for eternity. 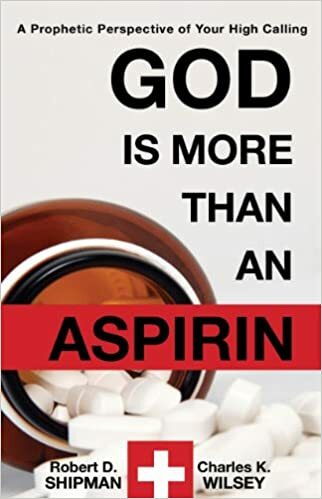 How does one get this book, simple: Go to Amazon.com/books looking for Prophet Robert David Shipman author? I have 8 books so this book is titled: “The Last of Last Days will be Greatest Time in Church History”. Not a large book only 82 pages. My picture is on front if that helps. Easy to read and each Vision and Prophecy has actual dates given. Don’t forget to tell your friends.